TOKYO -- Mitsubishi Motors Chief Operating Officer Tetsuro Aikawa today denied Japanese media reports that he and CEO Osamu Masuko plan to resign over the Japanese automaker's manipulation of fuel economy data. Aikawa added that he had "absolutely no plans" to pull out of the automotive market. The scandal has halved the company's market value in a week. "It's my responsibility and my mission to put the company on track to recovery. Beyond that, I haven't had a chance to even consider" the possibility of resigning, Aikawa said, calling the reports "based on speculation." Japanese media reported the information on Wednesday. The Yomiuri daily said Masuko had already told some affiliated dealers and partsmakers of his intention to resign. Separately, the Mainichi daily reported Aikawa has decided to step down. Mitsubishi said Wednesday that Japanese orders for its cars have halved since it revealed last week it cheated on fuel economy tests, intensifying concerns over its prospects given an already checkered history of scandals. 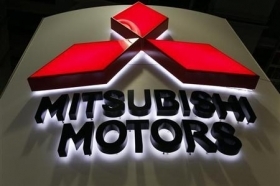 The automaker said it may approach its financial backers, which include other Mitsubishi Group companies, for assistance if necessary, but its financial position is strong and it sees no need for fresh funding for now. The company said last week it had manipulated mileage test data for four domestic mini-vehicle models, including two it produced for Nissan. This week, it admitted that it used fuel economy testing methods that didn't comply with Japanese regulations for as many as 25 years, far longer than previously known. It has also said more models may have used those non-compliant tests. Having admitted to overstating the fuel economy of its mini-vehicles, Mitsubishi Motors may face a bill of close to $1 billion, according to Nomura analysts, to compensate drivers, re-pay government tax rebates and other payments -- assuming a cost of 68,000 to 166,000 yen ($611 to $1,491) per car, times the 625,000 cars so far affected. Goldman Sachs estimates a potential cost of up to 200,000 yen per car. Mitsubishi Motors has launched an external investigation into its latest misconduct, which has revived memories of a scandal more than 15 years ago in which it admitted systematically covering up customer complaints for more than two decades. Several years later, it had another setback when its truck affiliate admitted to concealing information about potentially dangerous defects, although it managed to secure a bailout that was part-funded by other Mitsubishi companies. Senior officials at firms in the Mitsubishi group say it would be difficult for them to help the carmaker this time, if needed, as they face their own financial squeeze, as well as calls to put shareholder returns above ties with the former Mitsubishi business empire. Mitsubishi Motors said operating profit for the financial year just ended inched up 1.8 percent to 138.4 billion yen ($1.2 billion), while revenue climbed 4 percent. It gave no earnings guidance for the current financial year given the uncertainty over the mileage cheating scandal.